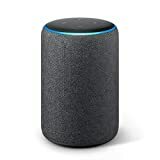 Just Ask Alexa to play music, control smart home devices, answer questions, read the news, check the weather, set alarms, call anyone with an Echo device or Alexa app, and more. 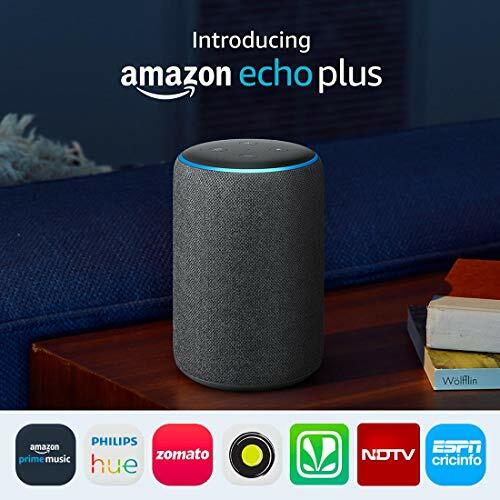 Echo Plus features a premium speaker for powerful 360° sound, and a built-in smart home hub and temperature sensor. 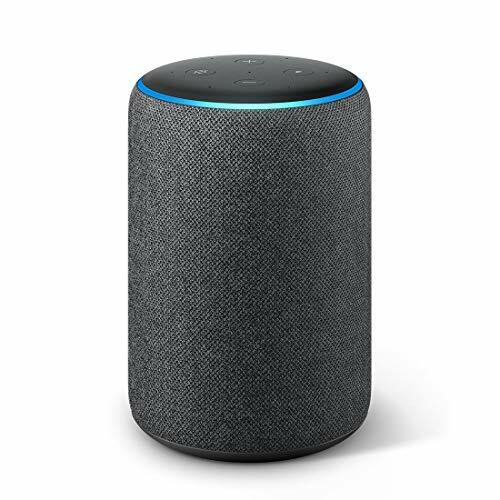 Just ask Alexa to play music, answer questions, make calls and get information, news, sports scores, weather, and more. With the built-in hub, starting your smart home is easier than ever. 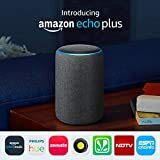 Ask Alexa for a song, artist, or genre from music services like Amazon Prime Music, Saavn, and TuneIn. Using multi-room music, you can even play music across multiple Echo devices at the same time. Set up your smart home without a separate hub. Ask Alexa to control compatible smart lights, plugs, camera, and more. Call or message anyone who also has an Echo device or the Alexa App, hands-free. Simply ask “Alexa, how do I set up calling?” to get started.